Have you ever felt like a fraud? Do you think that you’re successful just because you got lucky and not because you deserve it? Do you question whether you get the best deal at the negotiating table? You’re not alone! A recent survey shows half of women have self-doubt about their job performance and careers (compared with less than 1/3 of men). And, when negotiating, women under-estimate how much is available, ask for less and receive 30% less than men, on average, as reported by Linda Babcock in her book Women Don’t Ask. 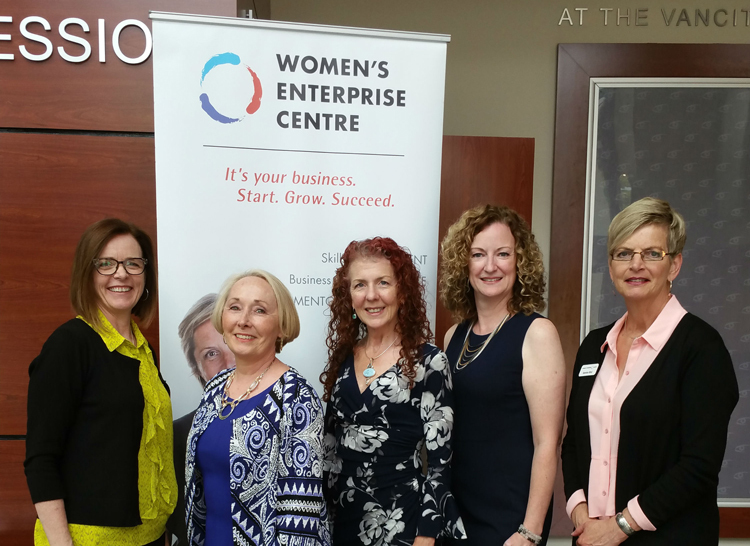 To help women improve their self-confidence and negotiate more effectively, Women’s Enterprise Centre hosted Mindset Mastery 2.0 in Vancouver on May 28. The event featured workshops by world-renowned impostor syndrome expert Dr. Valerie Young and negotiation strategist Carrie Gallant. 1. Your hectic “working style” could be a symptom of self-doubt. Women who feel like impostors use different ways to cope with it, such as flying under the radar, overworking, procrastinating or committing self-sabotage. These unconscious strategies may work to ease self-doubt temporarily. For example, if you procrastinate and run out of time to work on a project, then no one will be able to evaluate your true talent and find out you’re an impostor. But these strategies come at a huge cost, as they’re opportunity killers and impact your bottom line. 2. Shame of failure is a by-product of self-doubt. If you already have self-doubt and then you fail at something, you’ll feel that this confirms it: you really are an impostor. No one likes to fail, but non-imposters recognize you can’t know everything in the beginning—or ever! The more you do anything, the better you’ll get. This thought process distinguishes confident people from those who feel like a fraud. 3. Re-frame how you think: be a non-impostor. If you want to stop feeling like an impostor, stop thinking like one. If you’re walking to a podium, tell yourself, “I’m excited!” Over time you will begin to believe the new thoughts. Change the way you think and you will gradually silence the negative voice in your head. 4. Fear of rejection often stops us from asking for more. Whether it’s discussing the price of a car or asking for a raise, the fear of ‘no’ can cripple your negotiation abilities. There are tools and techniques to you can use to perfect the art of negotiation and get more of what you really want. 6. Negotiation is conversation, not confrontation. The truth is, when empowered to negotiate, women’s results are as good as men’s. Persistent self-doubt is not just a personal matter. It has a negative impact on your overall growth as a person and as a professional or entrepreneur. Confidence and growth mindset are keys to success.